Your little niece will be absolutely delighted! She loves getting packages from Auntie Jess! The teeny books are sooo cute! Don't tell her something is coming! These are perfect for a secret sister gift I have to give on Thursday. FUN! Thank you. Ack! So cute! I want to make some of these right now. Love these! Made one myself. So cool! Thanks for posting this. Those are so cute. Will have to show these to my daughter. 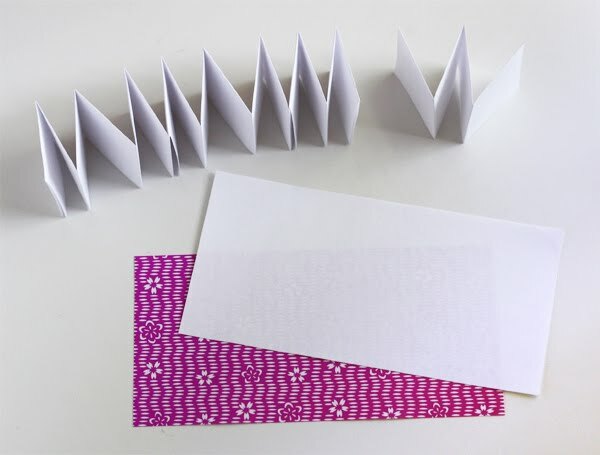 She loves origami(and make beautiful tessalations--I think that is what they are called) Your niece will love these! Have you ever seen this origami book? It's teeny tiny and made from one piece of origami paper. No scissors or anything. Probably the most fun and most impressive origami project I ever learned! I've seen that one! The beginning of that guy's video series is so funny. 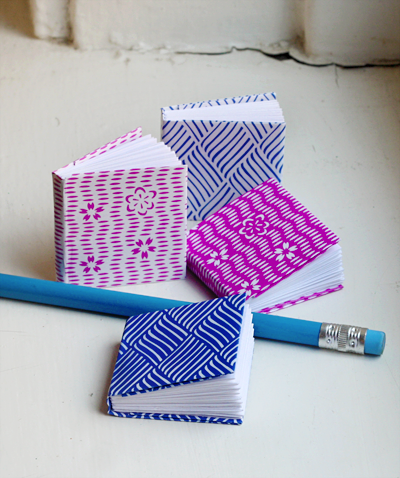 He's like, "Yo, I'm way too cool for origami, but I'm sooooo bored I guess I'll make a tiny adorable book." Wow! I can't believe its that easy. Thanks! They are really cute! These are very sweet! They would make nice stocking fillers for Christmas. How cute! 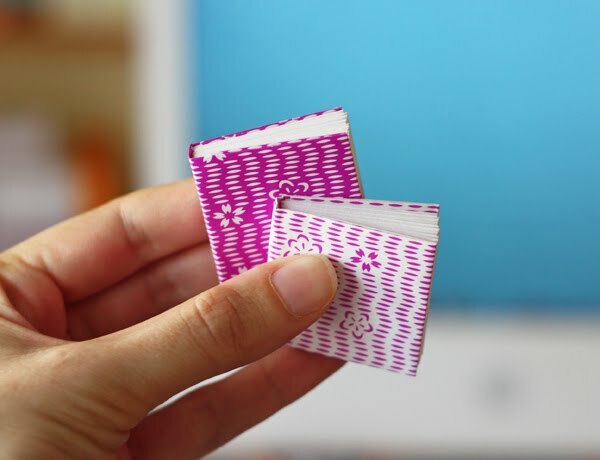 I love little things to make notes on, but these might be the cutest ones I've ever seen! Anonymous who asked about the binding: The accordian-fold page sections fit into one another, making a continuous piece. Though this step is optional, I followed the suggestion in the tutorial to press the stacked pages together with a binder clip and apply glue along the spine. It will keep any pages from sliding out later. When the glue is dry, (or if you skipped that step), just wrap the cover around the pages, following the tutorial, and it will hold the book together. My 10 year old self would have died and gone to heaven to have these for my dollhouse. OMGosh! I am totally making these this weekend with my daughter. She is five and a half and loves crafting, and these are simple enough for her to make as well. Your blog is absolutely awesome--I love getting the emails that there is a new post, since it is always something cool! Saw this 2 days late but oh my goddddd so cute! I will attempt to make one at my desk today. These are super cute. They would be so fun for a girly party. I'm having a total Santa's elf moment...how cute would these be as stocking stuffers? squee! I just made two of these and they are so stinkin' cute! Thanks a million for sharing! BUSIR, I hope you had a great time in Chicago! Amandine, I know... it's a dilemma. A very cute dilemma. Your tutorial is excellent, easy to understand! Thanks! I love making mini books! Thanks for the link to the FABULOUS tutorial! I just tried it. Super cute!😊 I wanna make some now. I'm making one:) gonna use hot glue for binding, and washi tape for "cover", these would also be really cute for party favors! If anyone is in the Pocket Letters crafting craze right now these would be perfect.